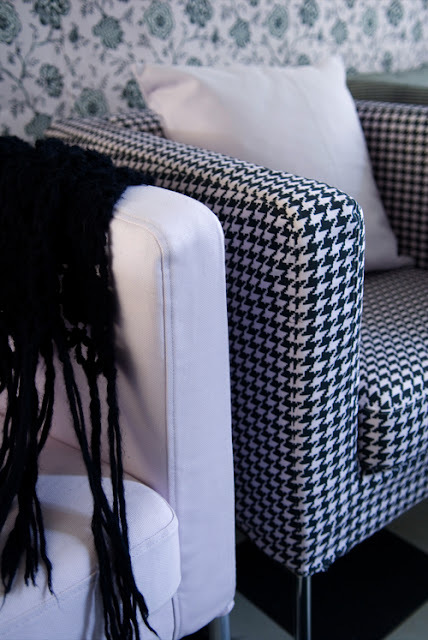 I am using a black and white houndstooth fabric on a sofa in a living room remodel right now and it will give the client flexibility with pillow colors down the road if she wants to change things. I will probably be bringing in light blue accents for her living room but if she wanted to use red or even a bright pink or yellow she could. When I think of a neutral, I think of a pair of jeans or khaki pants - because almost anything can be put with them. 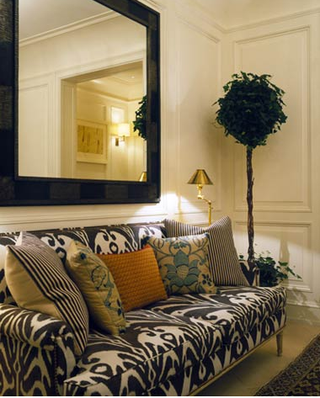 So when I am designing an interior, and specifically a sofa, I try to achieve the same thing by using fabrics and materials that will give me flexibility and allow many changes, just like a neutral pair of pants. Yes! I will most definitely be posting the 'after' photos. It is a couple of months from being finished... just in preliminary stages now. 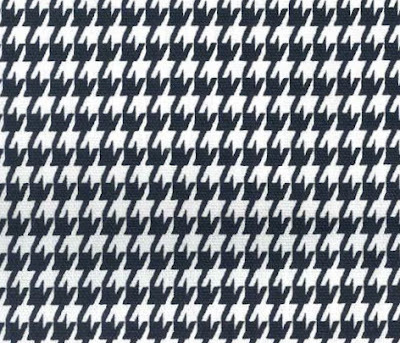 The hounds tooth fabric is wonderful! 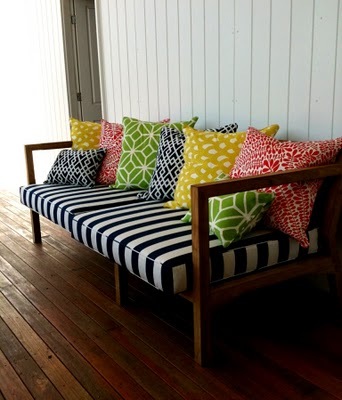 I love men's suit type fabric used on furniture and accessories! My comforter set in my bedroom is a brown herring bone pattern. My sister in Yorba Linda says the same thing about the weather out there! I'll trade mine for yours! love these. although hounds tooth is a no go here. We live and alabama and the opposing team is hounds tooth crazy. ha. Very good point, Sherri. Neutrals don't need to be boring. I really like your selection of pictures. Post of the day: DEXTER INSPIRED DECOR. hi sherri, I'm glad you found my blog, now I've found yours too! great blog, love that houndstooth in Miley's bedroom like that!! 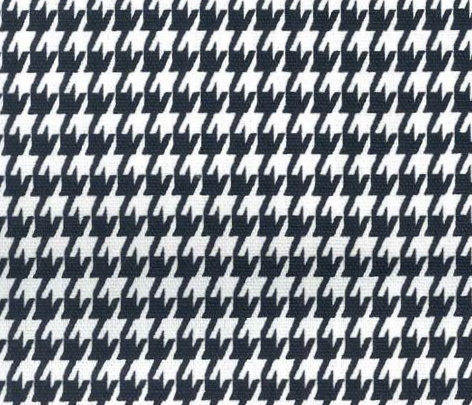 I'm loving that black and white houndstooth! Can't wait to see how everything comes together! I've been reading over some of your past posts and love the work you've done. The ideas you share are so good!! how are you doing? I'm just dropping by to say "thank you" for your comment, ok? Post of the Day: JENNIFER ANISTON'S HOUSE FOR SALE!